Back pain is an exceedingly common, and annoying, condition for many Americans. According to the American Chiropractic Association, back pain is the second most common reason each year for doctor visits. An estimated $50 billion is spent each year by Americans trying to eliminate back pain. ”It's warm, you completely relax, and no aches and pains! This should be included In Physical therapy. Some of that money is going toward prescription opioids, as a recent NPR survey shows an estimated 40 percent of those complaining of lower back pain received prescription painkillers. These dangerous, addiction-forming drugs are not recommended as the first course of treatment for those with back pain. As you float in the Epsom salt-saturated cabin, buoyed in the water, your muscles are able to relax and unclench. This improves blood circulation to the tissues and muscles. With increased blood circulation comes better healing powers, allowing torn muscle fibers to repair themselves. This healing can provide long-lasting relief from back pain, even after you’ve left the float cabin. 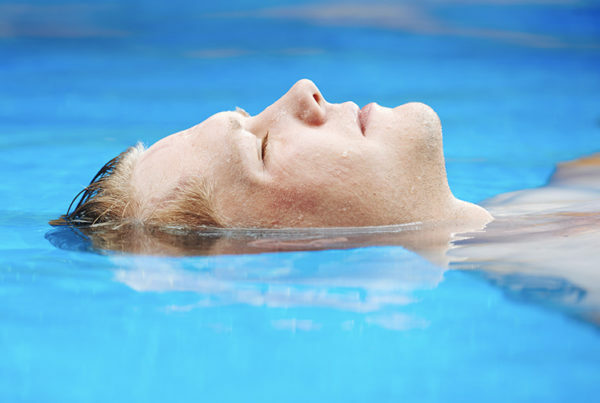 Because floating allows for full sensory deprivation, you can spend your time in the float cabin simply relaxing. Many people fall into a deep meditative state, or even fall asleep. For those suffering from chronic back pain, this relaxation is unlike any they’re able to feel at home in bed or sitting in a chair. With relaxation comes a decrease in cortisol production, a hormone that causes the nervous system to go into overdrive. When there’s less cortisol, the nervous system can calm down, allowing for a decrease in feelings of pain. Back pain can impact all aspects of your life, and limitations on what activities you can participate in can lead to feelings of stress, depression, and anger. 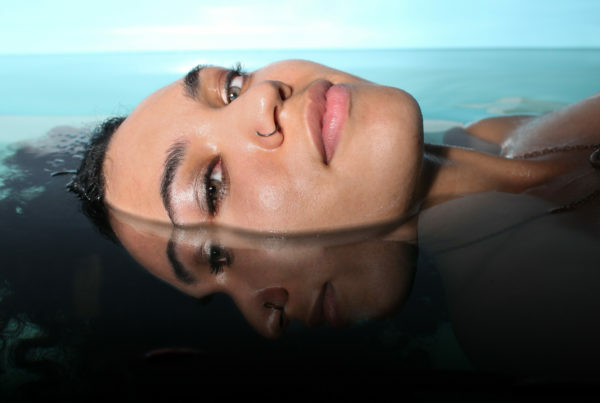 Relaxing in a float tank allows for the production of endorphins, the “happy” chemicals produced by the brain. Production of endorphins has been shown to decrease symptoms in those suffering from depressive disorders. 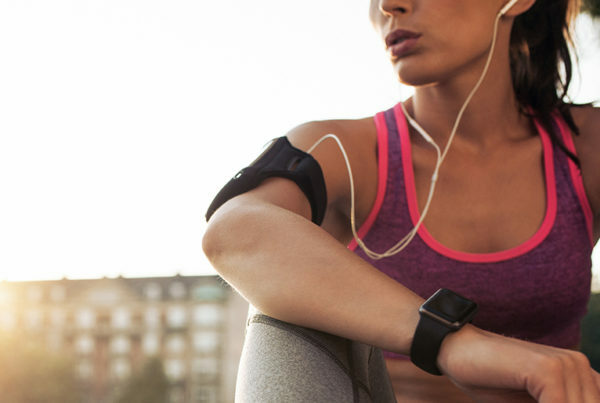 Endorphins also promote well-being and have been known to dull pain responses. When floating, you are weightless in the float cabin. This frees your body from the weight of gravity pulling downward on sensitive bones and joints. Being allowed to stretch out in the float cabin can lengthen and straighten hunched spines, widen sloped shoulders, and uncurve lower backs. Spending time without the weight of gravity allows you to begin putting your back and shoulders into healthier, wellness-promoting positions that you may be able to carry over into the rest of your life, easing pain in your back. Magnesium, one of the two main components of Epsom salt, provides many benefits to the human body. Some of the key benefits for those suffering from chronic back pain include anti-inflammatory properties and nervous system regulation. Certain types of back pain can result from inflamed muscles and tissues, and magnesium’s anti-inflammatory characteristics can decrease this inflammation and decrease pain. As discussed above, the nervous system can go into overdrive when pain is present. Increasing your magnesium absorption through floating can help regulate the function of your nervous system and, in turn, decrease any pain you may feel. If you suffer from chronic back pain as the result of a myriad of conditions, including fibromyalgia, scoliosis, or car accident injury, and are unable to find relief through modern medicine, floating may provide you with relief from or complete elimination of your symptoms. Contact Light Side Floats today to schedule your first float and experience the benefits yourself!